fascinatingfoodworld: Apple-cinnamon loaf cake with Salted Caramel Sauce! Apple-cinnamon loaf cake with Salted Caramel Sauce! Apples give me a nostalgic feeling. Fruits and vegetables which I hated most as a kid are my favourite now. Lets take papaya for instance, I couldn't stand the smell of it, let alone eating and now day feels incomplete without eating it. This papaya smoothie is my latest obsession:- Yoghurt+ Papaya+Milk+Honey (Stir mint leaves with spoon once you pour smoothie in the glass). You have to try this one! Another fruit which I never enjoyed as a kid is apple. You know how they say "An apple a day keeps a doctor away". I never gave a damn to it. Only time I had apple was when I would be down with cold and fever. Mom would par-boil apple with cinnamon and serve in a saucer-like plate to comfort me. Not that I am saying that I liked falling sick to have apple but cooked in its own juice, apples did soothe me and tasted yumm! Apples satisfy hunger for fewer calories; a perfect snack. Compared to other fruits like strawberries,kiwi, pomegranate; apples are usually overlooked as they are commonly available . Apples have lot of nutritional benefits, few among others are getting a healthier heart, controlling weight,decreasing risk of diabetes and reducing cholesterol. Apple and cinnamon together works like a charm. 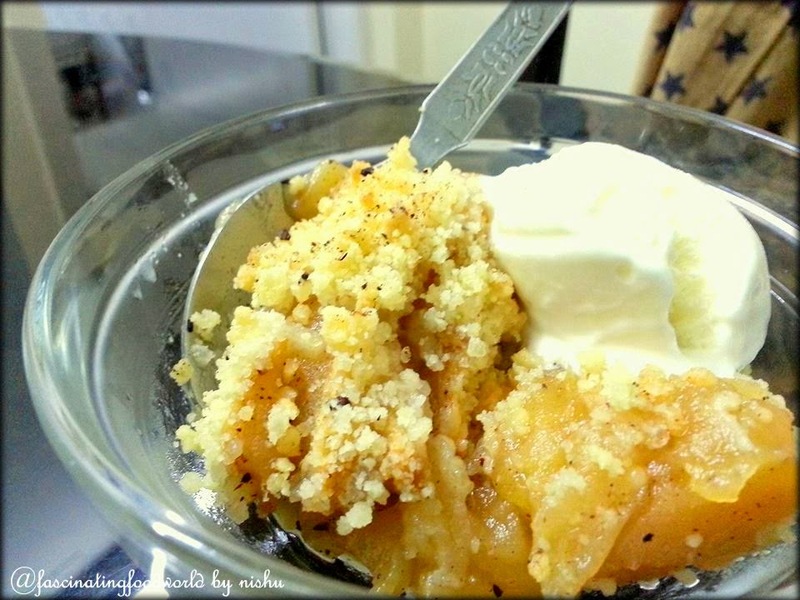 Its a classic combination which is used in a lot of desserts like apple crumble, apple tarte tatin, apple muffins, apple oatmeal. This is a recipe of Apple Loaf cake in which apples and cinnamon are added in the batter. Unbelievably moist, this cake sure is a winner. Sweet, salty and sticky sauce drizzled over it makes it absolutely delectable. First and the most important step like always is preheating oven for 10 minutes at 180 degrees Celsius. Next important step is greasing the loaf tin and dusting with flour. Using an electric beater, cream sugar and butter in a bowl. Strain flour, cinnamon, baking powder and baking soda together and divide it in three parts. Combine dry ingredients and milk with butter-sugar mixture one part at a time. Add vanilla essence and chopped apples while adding the last part and fold properly. Pour batter in the loaf tin. Bake in a preheated oven at 170 degrees Celsius for 40-50 minutes or till knife/toothpick comes out clean. Cover loaf tin with aluminium foil if you notice top part of cake getting too dark and burnt. This famous sauce is actually very easy to make. It's wonderful over ice-creams, pies, cakes, cheesecakes, cookies and fruits. You just need three ingredients and you are good to go. This sauce is liquid gold. Sweet, sticky and salty, this sauce is addictive. This sauce is more popular as butterscotch sauce or toffee sauce which you usually get in market. Leave out salt if you want but I think adding salt enhances sweetness and makes this sauce even more drool-worthy! Heat sugar in a saucepan over medium heat, stirring continuously with rubber spatula. After about 5-8 minutes, sugar will melt. Keep stirring until melted sugar becomes amber ( deep yellow) in colour. At this point, turn gas mark to low and slowly add cream. Keep stirring and let it boil on low heat for 1 minute. 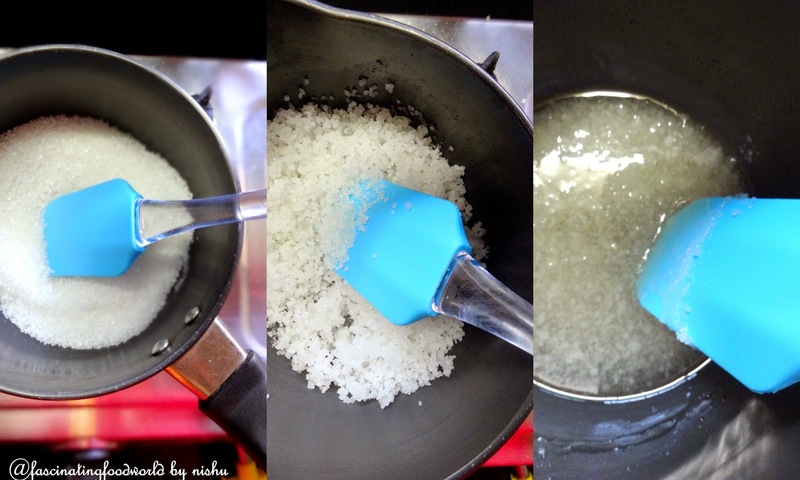 Turn off gas and stir in salt. Transfer in an empty glass jam jar. Allow it to cool and store in refrigerator for about 2 weeks. Warm sauce whenever you want to use. Be very careful while making this sauce. Do not burn yourself. Keep ingredients ready with you. Do not use your phone or do anything else while making it as caramel can burn within seconds. Do not touch caramel sauce at any stage of making ( You can obviously dip your fingers in it and lick them once it has cooled down). There is a very thin line between getting that amber colour and caramel getting burnt. If sugar gets burnt, you will have a stinky and burnt caramel sauce. More recipes you can try!